This is the fourth blog post of our table mock-up samples; illustrating how one is able to totally customized the decor styling for your wedding or event using our TABLE DECOR PACKAGE pricing structures as a starting point for designing your very own tablescape. Refer to our “Ninirichi Wedding Design Document” for more details on pricing structures and process guidelines. 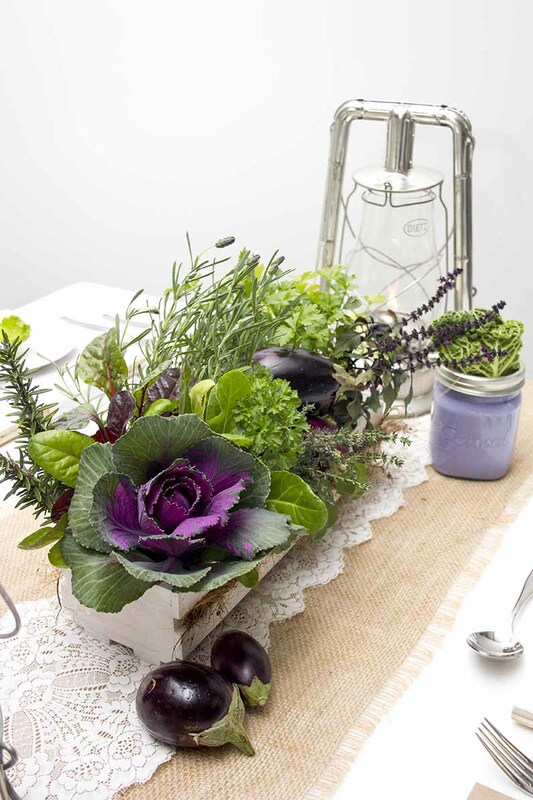 This rustic farm style tablescape was built using our “CLASSIC TABLE DECOR PACKAGE” for the budget purposes and a combination of selected elements from two of our “TABLE DECOR STOCK SETS | Set 17 – “Eco-Chic Stock” and Set 23- Painted Bottle Stock” as the foundation for the look. 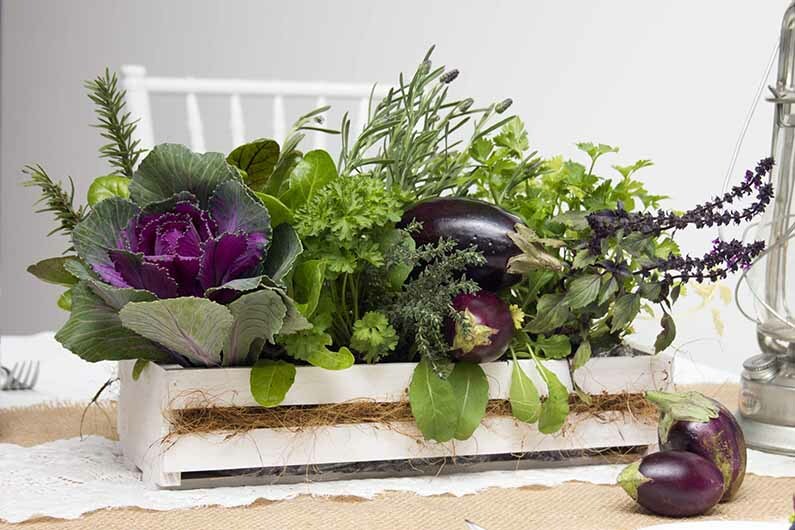 To create this beautiful harvest inspired table – we started with draping the rectangular banquet table with crisp white linen and layered hessian and lace runners to add a rustic vintage feel.We potted an assortment of vegetables and herbs in white washed wooden crates and staggered these three feature arrangements along the length of the runner. 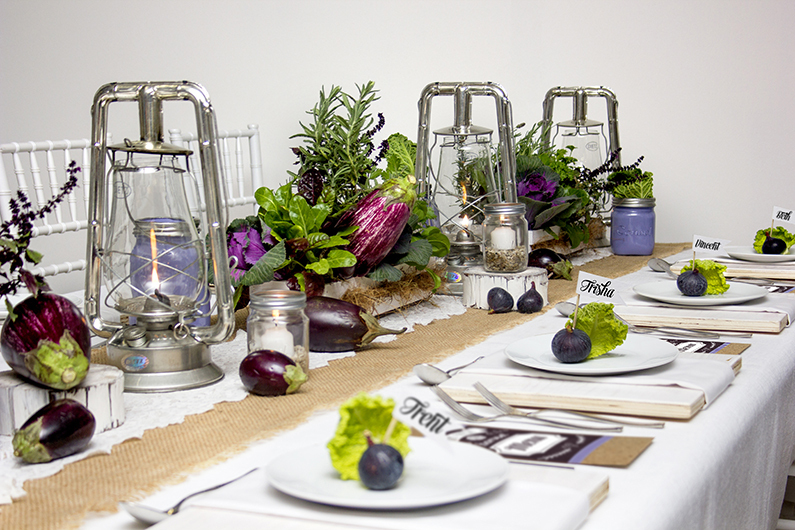 We then alternated these arrangements with farm style / paraffin camping lanterns and candles in mini Consol jars. 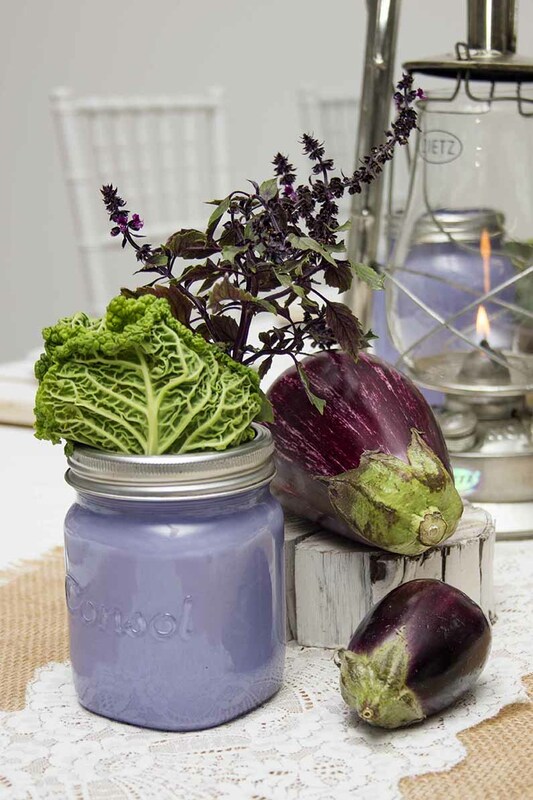 We added little white washed tree stump risers to lift some of the candles and display single vegetables. 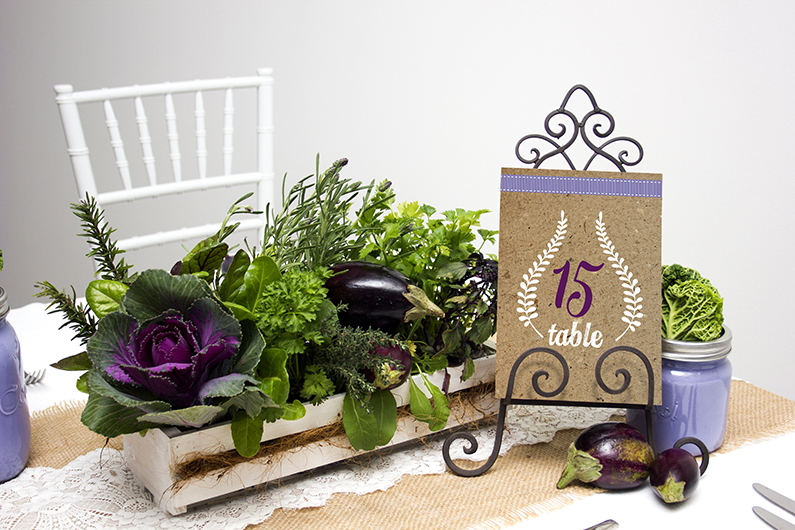 We added a bespoke details to enhance the styling – table number printed on raw textured stock card and displayed on a mini wrought iron easel and white wooden Tiffany chairs. The understated place-setting is built up from white washed pine place-mats, layered with a crisp white linen napkins and a lovey bespoke place-card flags pegged into fresh figs and decorated with salad garnish. 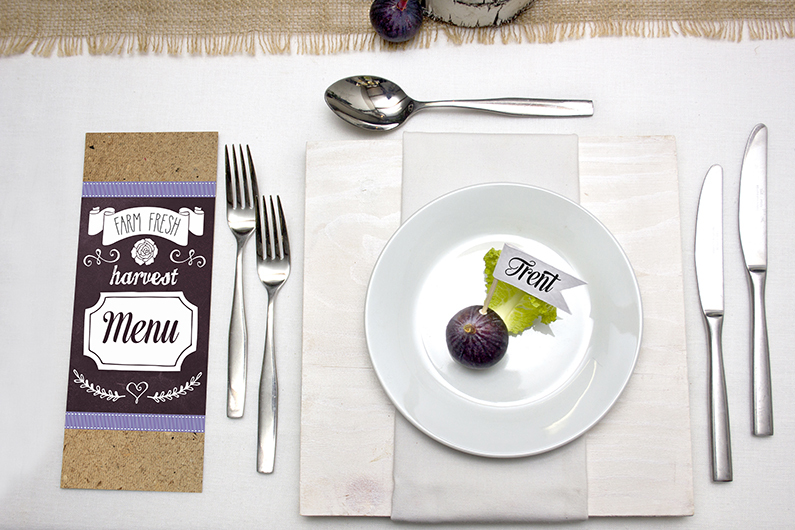 We also added a stylish bespoke menu cards to finish off the table design – lovely hand-drawn graphics and scripted font printed on raw textured card stock and decorated with purple saddle stitch ribbon detail.